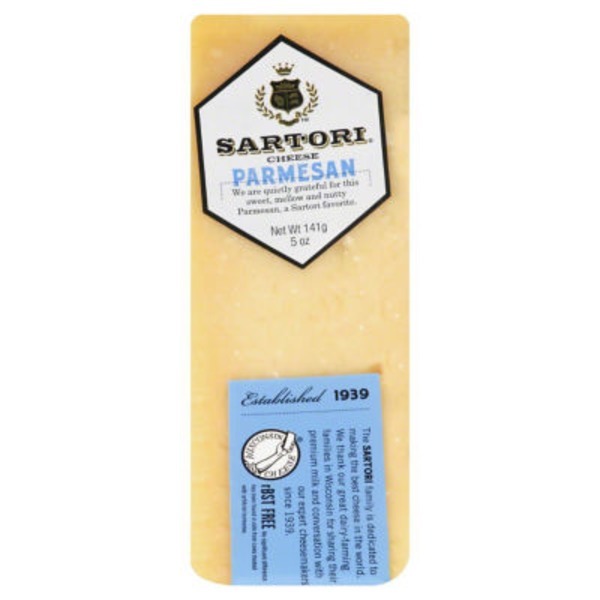 We are quietly grateful for this sweet, mellow and nutty Parmesan, a Sartori favorite. Established 1939. Wisconsin cheese. The Sartori family is dedicated to making the best cheese in the world. We thank our great dairy-farming families in Wisconsin for sharing their premium milk and conversation with our expert cheesemakers since 1939. rBST Free: No significant difference has been found in milk from cows treated with artificial hormones.